For us this is the season of friends having babies. This project was for a couple having their first baby – a girl. The dad is super into Star Wars, so we figured a Star Wars blanket was a must. Sean went to the fabric store to help me pick out fabric. 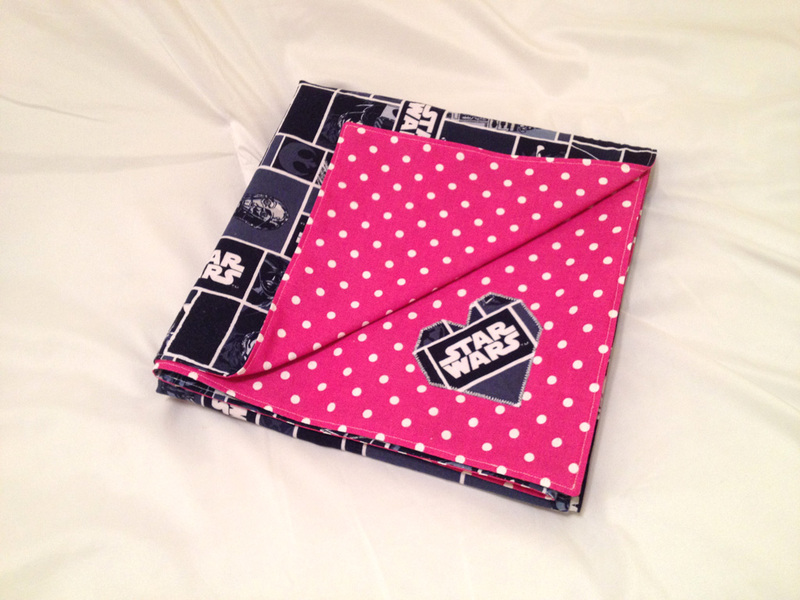 We ended up with the great fabrics below – blocky Star Wars and an adorable hot pink and white polka dot. 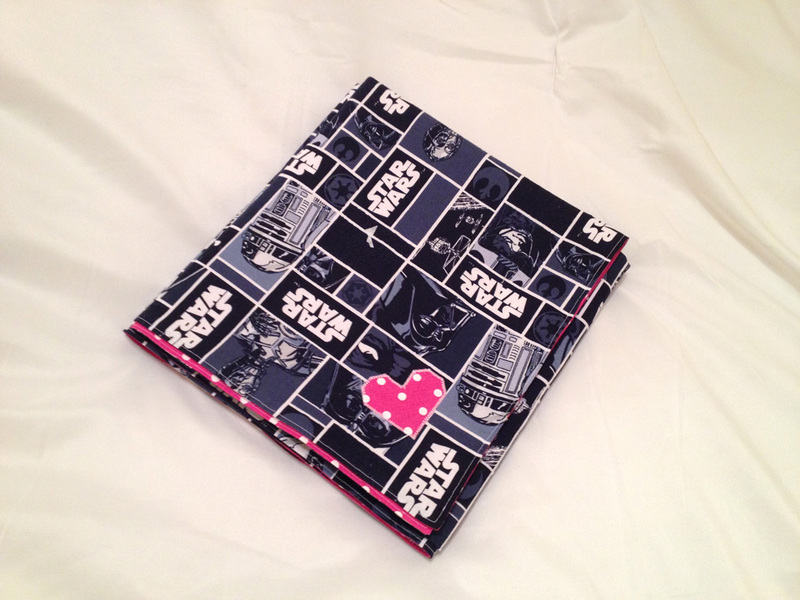 To tie the two sides together more we decided to add contrasting fabric hearts to both sides of the blanket. I’d neve done appliqué work before so I was really hoping it’d turn out. 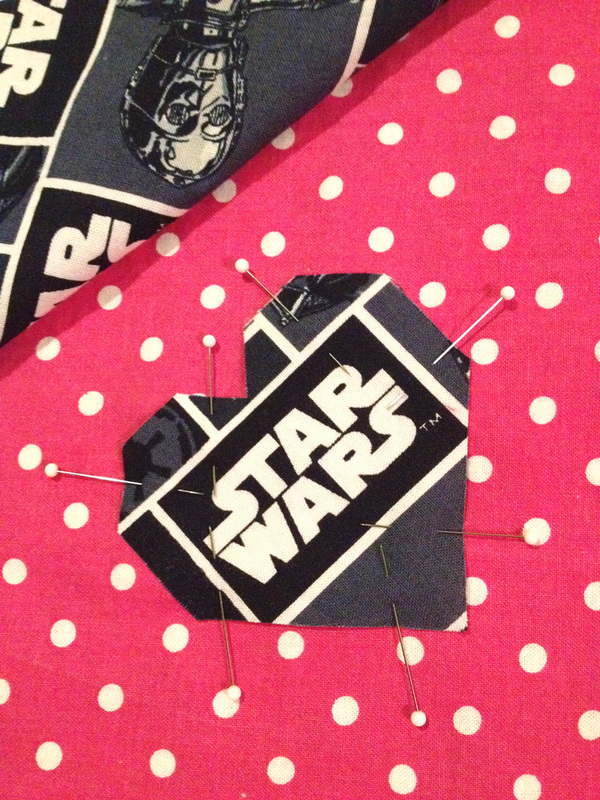 I put a fusible interfacing on the back of the heart, pinned it to the corner, and then sewed it on with a zig-zag stitch. It turned out pretty well! 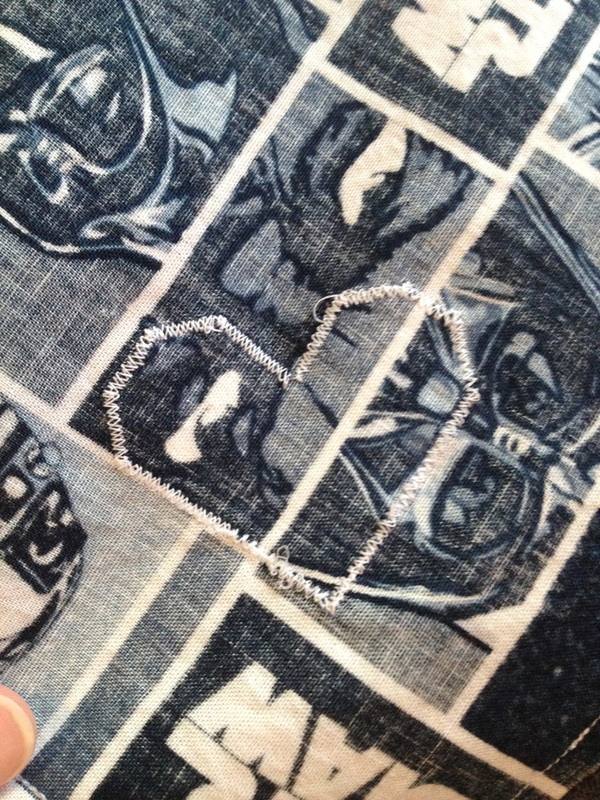 This is the back of the appliqué that ended up inside of the blanket. I had a couple glitches that I had to figure out as I did it, but it ended up coming together really well. 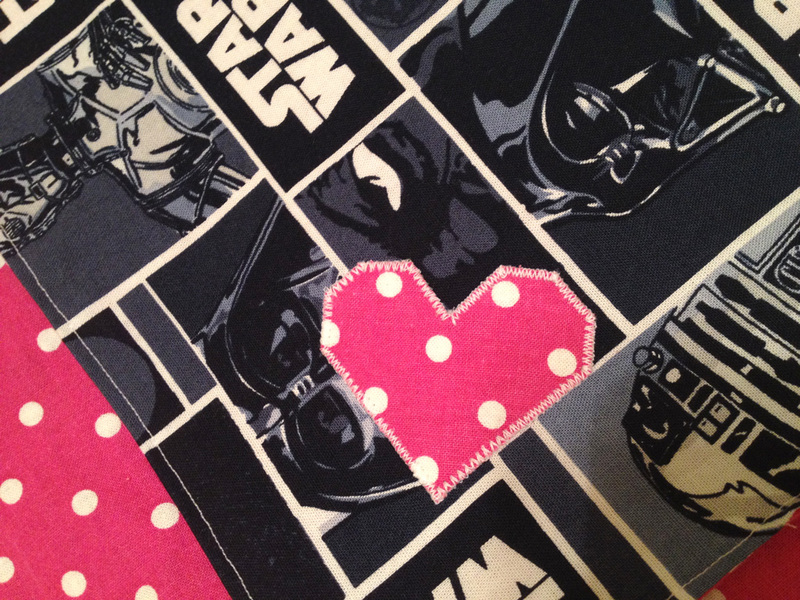 Star Wars heart on the pink side. 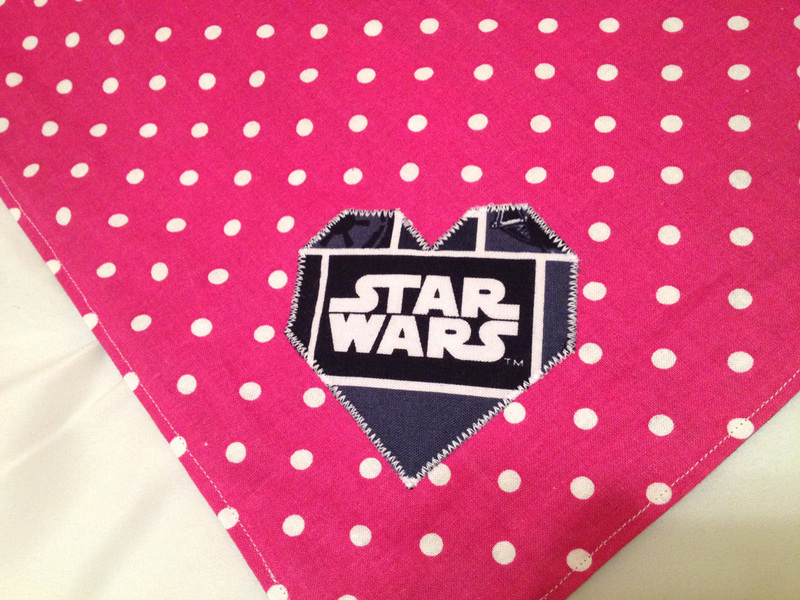 Pink heart on Star Wars side. Here are a couple pictures of the finished receiving blanket folded up. Finished size is 41.5 by 42.25 inches, so it’s not quite square.